Wisdom of Life. : Are you a generous spender? 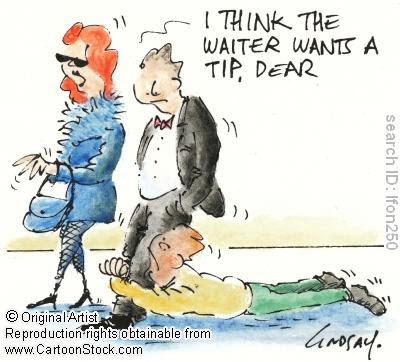 Are you a good generous diner who always willing to feed the bills for your friends? Not all i believe! Some pretend to pay without taking the wallet out, whom i consider as the hypocrites. The worst one just expect you to pay the entire bill without even saying the thank you. There are those who are willing to pay for a purpose in return. The top graded are those generous diners who always love to pay without motive, except to make their friends happy. I was taught young in life, to spend willingly for all your friends whenever i have an opportunity to dine with them. I feel it's an honour and a pleasure to pay as long as i live. Unless one could feel the inner happiness of paying for others, you would not be a willing payor. I had an opportunity to be invited by a good friend Devaraj yesterday for a lunch. Before we start ordering our food, i told Dev to allow me to pay the bill later. He said, "if the food isn't good, i pay but if the food is tasty you pay." I like this statement. Though the food wasn't very good, i lied to say that the food was marvellous. He allowed me to pay the bill with honour. One final tip to all men. Never allow ladies to pay our bills because women are created to be pampered by man. "If women did not exist, all the money in the world would have no meaning."